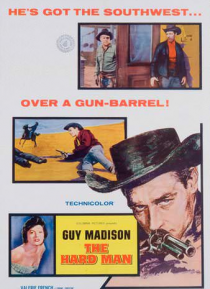 Madison is a Texas Ranger who takes a job as deputy sheriff and quickly becomes embroiled in a range war against Greene, a rancher intent on taking over the whole range. He also begins an affair with French, Greene's wife, who wants Madison to kill her husband for her. She ends up doing the job herself.